Commercial Club Cars are designed to help businesses perform certain duties with ease. They can be used as a means of transportation for groups of people, heavy goods, large cargo, and more. 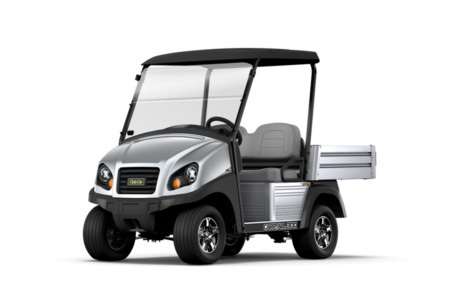 Aggieland Golf Cars offers three different types of utility Club Car vehicles, known as the 4×2 utility vehicles, 4×4 utility vehicles, and transport vehicles. Each type of commercial Club Car is tailored for different needs. The 4×2 utility vehicles and 4×4 utility vehicles are used for transporting large and heavy equipment, while the transport vehicles are designed for chauffeuring people. With each type of commercial Club Car lies an array of specific models with precise functionality and purpose to better serve our customers. 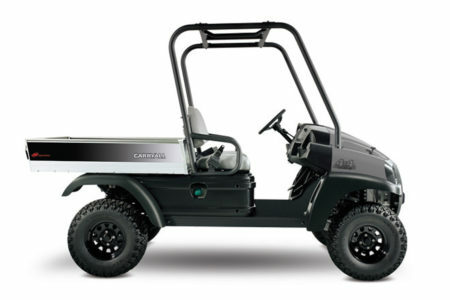 For whatever duty that may be calling or need hauling, Aggieland Golf Cars has the perfectly designed utility vehicle to help enhance your business.